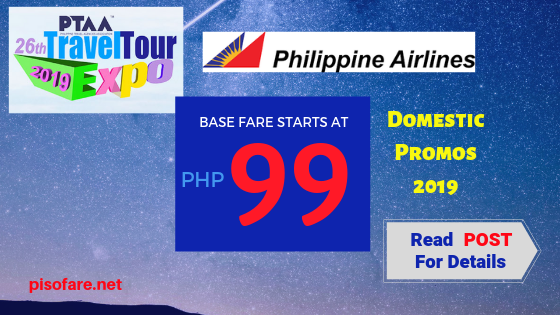 Book as low as P99 base fare promo via Philippine Airlines seat sale 2019 for domestic trips! Fly to your desired domestic destination by booking or buying promo tickets as low as P99 base fare on select Philippine destinations. Quoted Philippine Airlines promo ticket rates are Economy one-way base fare promos. Inclusion: 7 kilos hand carry baggage and light snacks. PAL affordable fares available from/to Manila, Clark, Cebu and select routes from/to Davao and Iloilo. Book promo ticket online at www.philippineairlines.com. No promo code required in booking. Buy PAL promo fares at 29th PTAA Travel Tour Expo, SMX Convention Center, SM Mall of Asia Complex, Pasay City. Expo dates: until February 10, 2019 from 9AM to 7PM. Visit the booths of PAL partner agencies for more information. Limited availability of sale tickets, not all flights are on promo. This promo does not include discounted fare on child, senior citizens, PWD and military. Infant ticket rate for babies under 2 years old is 10% on adult fare. PAL Economy fares are non-refundable but re-bookable subject to re-booking charge of P2,500. Economy tickets have no free checked baggage allowance. 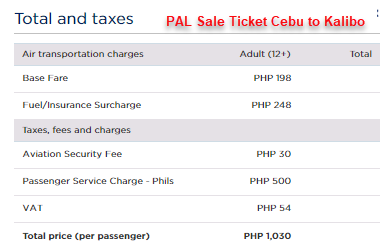 Book or buy PAL promo ticket as soon as possible to get the lowest fare. For more seat sale and promo fares 2019 to 2020 OF PAL, Cebu Pacific and other airlines, Like us in Facebook: PISO FARE TICKET!